While attending Linganore High School, Charles was chosen by the Scholastic Coaches Association as an All American Football Player in 1981-1982. As a running back, Charles broke many state records, while crushing anyone that tried to stop him from the goal line. In his senior year, Charles was ranked as one of the top three running backs in the nation. Choosing to attend Liberty University, Charles played football for four years. While attending Liberty University, Charles earned his B.S. in Business Management. Charles interest in bodybuilding started at Liberty University, where he won his first bodybuilding contest on the campus of Liberty University (Mr. Liberty 1990 and 1991). After obtaining more Bodybuilding Training and Nutrition knowledge, Charles competed and won several regional shows in the state of Maryland which led to the Mr. Maryland title in 1997. In 2001, Charles won the Heavyweight class at the Bodyrock Bodybuilding Championships. He then came back in 2002 and won the Super Heavyweight class at the Bodyrock Bodybuilding Championships. Charles first National appearance was in July 2002 in Las Vegas, Nevada at the USA Bodybuilding Championships. Of the top class of 39 competitors, Charles was chosen and selected as one of the top 15 finalist. With over 20 years in the Health and Fitness Industry, Charles’ vast knowledge and experience has earned the respect of fellow Competitor’s, Trainers and Clients alike. 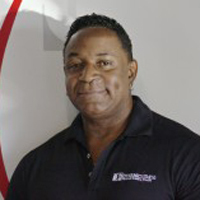 Charles has provided more than 15 years of quality Certified Personal Training. Using a philosophy that is based on Proper Technique, Motivation and Dedication, his Clients achieve well beyond the goals that they have set for themselves. Alex is an awesome trainer but an even better guy. 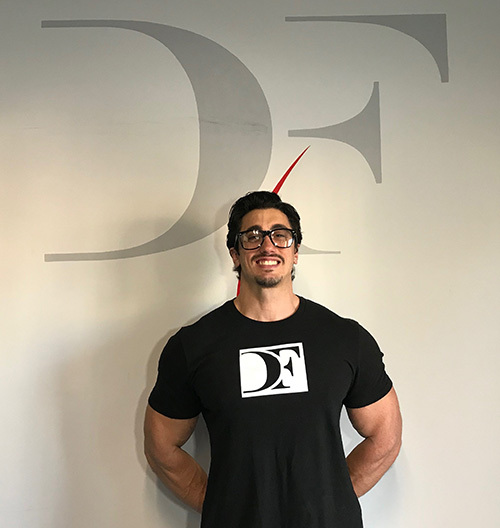 We’re extremely excited to have him onboard at Dynamic Fitness but also excited for you to meet him. Alex currently completed his NPC national debut in Charleston, SC. Be sure to wish him good luck! Here’s a few words from the man himself! 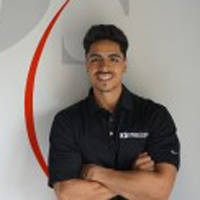 “My training philosophy is through the eyes of the client because I started my fitness journey as one. I became a client in 2007 began personal training in 2009. Throughout the years of my education, experiences, and client successes, I’ve realized that taking my clients through physical stress & progress is one of the most unique opportunities to accomplish mental peace. My mission is to not only conquer goals, but to also have you walk out of our doors with your head high.” -Alex. Hey Dynamic Fitness members! My name’s Lincoln Kemmerer and i am from Atlanta Georgia. I moved up to Frederick Maryland 10 years ago and attended Shepherd University located in Sheperdstown, West Virginia. I received my Bachelors Of Science with a concentration in Exercise Science. I have been working out for over 15 years and strive to continue setting new goals for myself. I have coached several athletes to include areas in explosive performance, weight loss, gaining muscle mass and bodybuilding competition prep to include NPC and OCB shows. basketball. Freshman year of high school I signed up for track and ran the 110 hurdles, 4x1 relay, and 100 sprint. Shortly after sophomore year I moved up to varsity. During my freshman year of high school, I went through a life changing event and was diagnosed with Type 1 diabetes. I didn’t let this set me back. I was determined to overcome the hurdles it was going to take to achieve my fitness goals.This disease has taught me so much about myself as a person and has allowed me to help others live a healthier lifestyle. Diabetes has built the foundation of my knowledge in nutrition and supplementation. It is my goal to continue helping others accomplish their fitness goals. It only takes a small change to make a huge impact on your life. Let’s make this change together! What is your fitness goal? 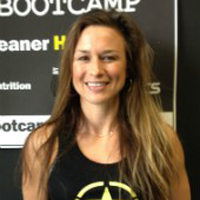 Elizabeth Bundy has an extensive background in both group and personal training. She received her B.A. at Baylor University, holds a Personal Trainer Certification from the National Academy of Sports Medicine, a R.I.P.P.E.D. Certification, a Les Mills Grit Certification and an American Red Cross CPR/AED Certification. Elizabeth is an avid runner, placing in several marathons and qualifying for the Boston Marathon with a time of 3:33. Elizabeth is a NPC bikini competitor placing in top 3 in the National Capitol Classic as well as placing at the Baltimore Gladiator. 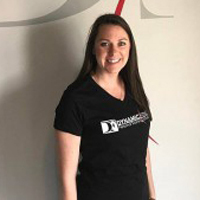 Elizabeth currently is a Small Group Adult Strength and Conditioning Coach and Personal Trainer at Sarge Athletics, as well as a Group Instructor for Boot Camp and HIIT classes at Golds Gym and Sport and Health. Please help us welcome our new YOGA INSTRUCTOR to the DF team, Deanna Houston. DeAnna began her yoga journey in 2005 and immediately knew it would become a lifelong practice. After several years of practicing, she wanted to deepen her knowledge and share the gift of yoga with others, so she enrolled in teacher training. DeAnna earned her Registered Yoga Teacher (RYT) 200 hour training from The Yoga Center of Columbia. DeAnna’s yoga philosophy is to break away from the overstimulation of the external world and to simply exist in the presence of our own bodies. Her yoga class provides students a safe environment to destress and have fun. A former competitive gymnast with Maryland state titles, Ben started playing Ultimate Frisbee at UMBC and served as the team's Strength and Conditioning captain. He is still traveling across the country playing competitive Ultimate for teams based in the DC-Baltimore area. 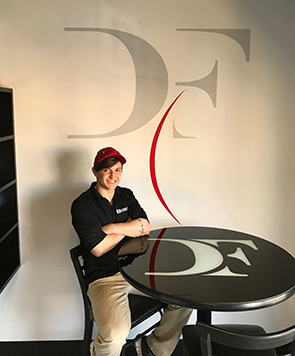 As a Certified Strength and Conditioning Specialist (CSCS) through the National Strength and Conditioning Association (NSCA), Ben applies scientific knowledge to promote performance and prevent injury. By prioritizing movement quality and functional exercises, he creates a safe and effective environment for clients to achieve their goals and promote long-term health. He specializes in sport-specific training, functional strength training, weight loss, corrective exercise and (P)rehabilitation. © 2017 Dynamic Fitness Frederick All Rights Reserved.